Wacker Neuson has expanded its line of products and will now sell hydraulic breakers and hammers of the new partner Montabert. These hammers are adapted to the machines and members of the Wacker Neuson sales team will be given access to a proven hammer programme. These hammers will make the Montabert brand stand out from their competitors by the innovation, reliability and ease of maintenance of their products. The impact power of the hammer will always ensure a maximum productivity because the hammer will be operated at a constant operating pressure. 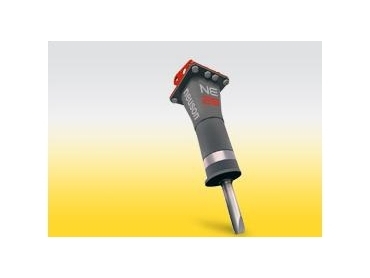 The Wacker Neuson hammer has a clip at the lower end of the hammer which when released permits a quick simple and efficient way of dismantling the tool and collet. The integrated energy chamber complete with diaphragm allows for a longer service life. Noise and vibrations from the hammer can also be eliminated by a special damping element which isolates the hammer from enclosure. The carrier vehicle is protected in the long run also. There are also a number of accessories which can be adapted to the hammer most noticeably a scoop or compactor. Chisels can also be used.